This site consists of an unpublished illustrated book on the 1940 Dunkirk Evacuation made freely available for you to download and use as you wish. It is unlike any other published material on Dunkirk because of both its unusual structure and its scope. There can be few , if any, more graphic and detailed accounts of individual actions at a critical time in our history. Not satisfied with an account of events on such-and-such a day, John Richards records them hour by hour and, indeed, minute by minute. It is brilliantly researched, beautifully written and quite moving. It is a book of historical importance which is also a compelling and inspiring read. 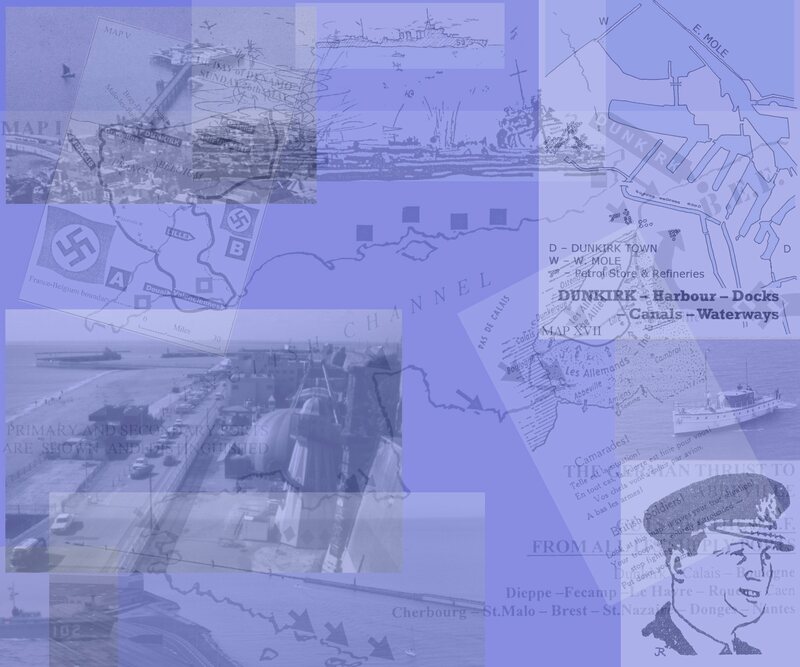 Dunkirk Revisited is available as a series of PDF files - one for each of the five chapters, one for the appendix/bibliography and one for the indexes. Just click on the links below to open them. Although the account focuses in detail on just four days of the Dunkirk Evacuation, it is exceptionally wide-ranging - and thus utterly unlike any other book on the Evacuation. It does not set-out to record an endless catalogue of shipping incidents, but to help the non-specialist reader to relate to the multiple aspects of the 'Dunkirk Evacuation'. The writer assumes of the reader no previous military or political knowledge or interest. Jargon is either avoided or explained. Equal weight is given to German leaders and their decisions as to those of the Allies. Its balance makes it a useful introduction for the ordinary reader or student, not simply to Dunkirk but to the summer of 1940. The author, John Richards, has master-minded and financed the restoration of two Dunkirk Little Ships: Lady Isabelle and Naiad Errant. Full details of the latter's story can be found at www.naiaderrant.co.uk. The 1940 account of Naiad Errant's skipper, Able Seaman Samuel Palmer, forms the thread linking the many diverse narratives of Dunkirk Revisited.